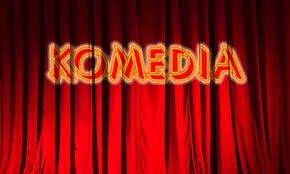 We have regular tickets to give away to Krater Comedy Club in Brighton between May and September. If you'd like to apply please do let us know by email (info@elliesfriends.org) which date you would like and how many tickets (max 4) and we will try and accommodate your request. Please note: show tickets only, food & drinks are extra.